These are just a few of the reasons people tell us they’re looking for an outdoor drainage system. Over 50 years in the yard drainage business. Trusted by more than 19,000 satisfied customers. These are just a few of the reasons why they become Siegel Landscape and Drainage customers. If drainage problems are keeping you and your family from enjoying your yard and preventing you from maintaining your lawn, Siegel Landscape and Drainage can help. As WNY’s premier exterior drainage contractor, Siegel is the leading installer of commercial and residential drainage systems in the area. Over the past 50 years, we’ve worked with homeowners, municipalities, management groups and associations to help solve their issues with wet, flooded, and soggy lawns. Siegel can install a complete drainage system, including perforated drainage, in your yard to permanently eliminate standing water. We can also install a new bubbler system connecting in gutter down spouts and sump pumps. All of your home’s drainage needs can be solved in one system with no disruption to your lawn and landscape and can be completed in one day. Now that’s a solution! After the installation of your yard drainage system, you can say goodbye to wiping off the dogs’ paws every time they come inside. 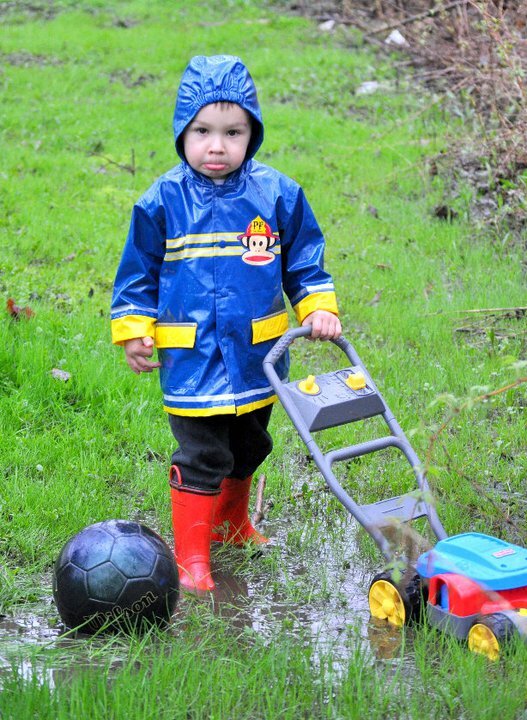 Your kids can play outside all year ‘round. And you can mow your lawn the day after it rains.